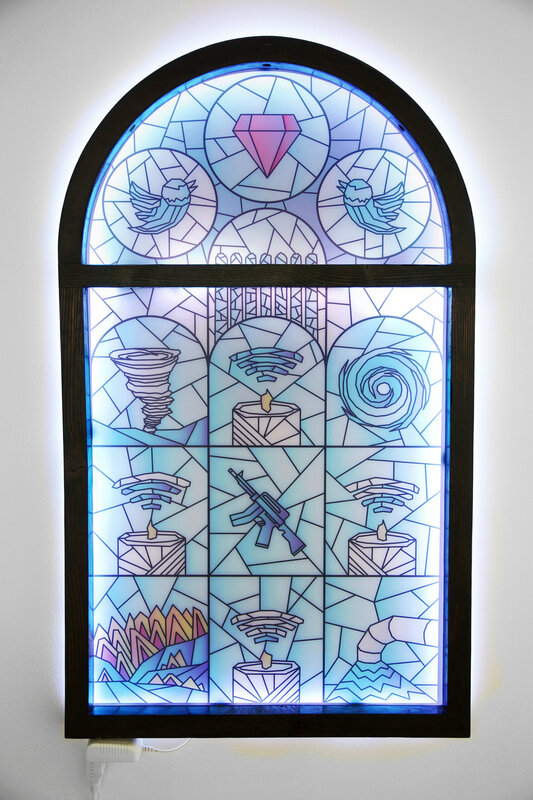 "thoughts and prayers" is a modular, multimedia installation comprising a wooden altar shelf with embedded LCD screen, an arrangement of 'flickering' LED candles, and a backlit acrylic window rendered in the style of narrative stained glass. 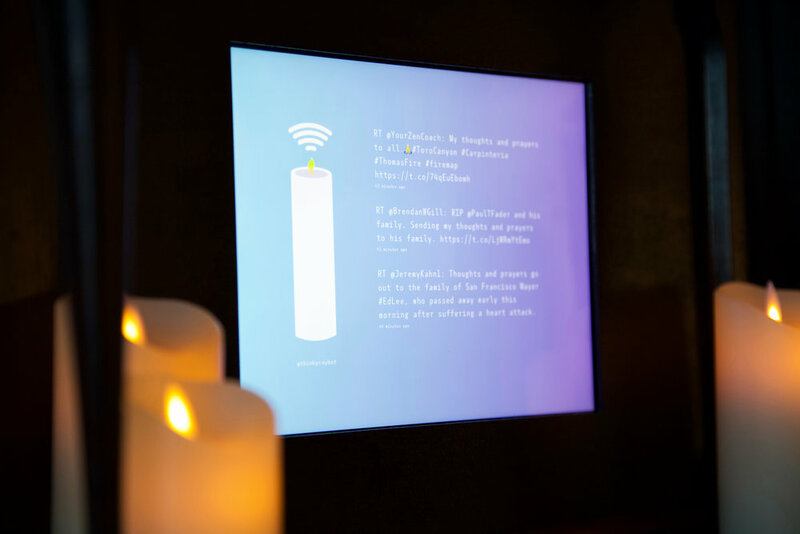 The altar shelf's screen displays a real-time feed from the @thinkpraybot Twitter aggregator, which is programmed to retweet all mentions of "thoughts and prayers". Since its launch in October 2017, the bot has posted over 55k times, its output a mix of official statements by politicians and raw sentiments from 'regular' users. This flattening—mirrored in the installation's minimalist design vocabulary—asks us to consider the limitations of language, particularly our ability to convey grief or sympathy in times of trauma. Are clichéd expressions like "thoughts and prayers" a form of virtue signaling by cultural elites, or a kind of social default we all turn to when facing unspeakable tragedy? As human interaction increasingly occurs in digital spaces, what does it mean to bring intercessory prayer and other collective rituals of mourning into these highly mediated environments?